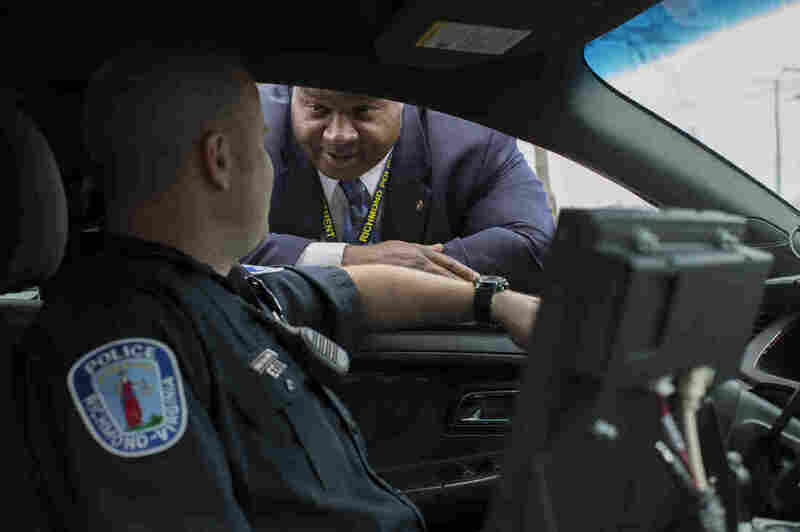 Detective Mark Williams (right) speaks with an officer in Richmond, Va. A decade ago, amid a surge in violent crime, Richmond police were identifying relatively few murder suspects. So the police department refocused its efforts to bring up its "clearance rate." Martin Kaste reported this audio story in two parts on Morning Edition and All Things Considered. Listen to Part 1 above. To hear Part 2, click the audio link below. 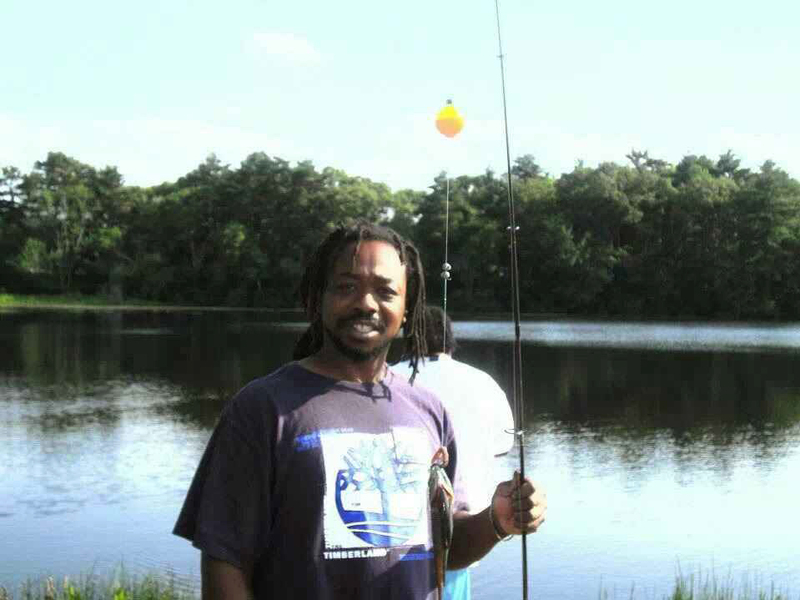 Delicia Turner's husband, Anthony Glover, was found murdered in Boston in 2009. 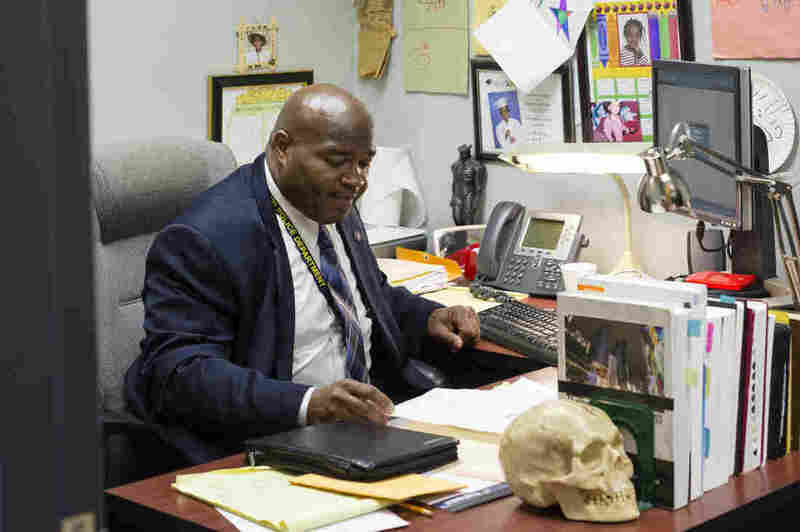 His is one of at least 200,000 unsolved murder cases in the U.S. since the 1960s. NPR had to make a special request for those local clearance rates. You can find them, by city, using our look-up tool, and can learn more about clearance rates — and why local data can be difficult to obtain — here. 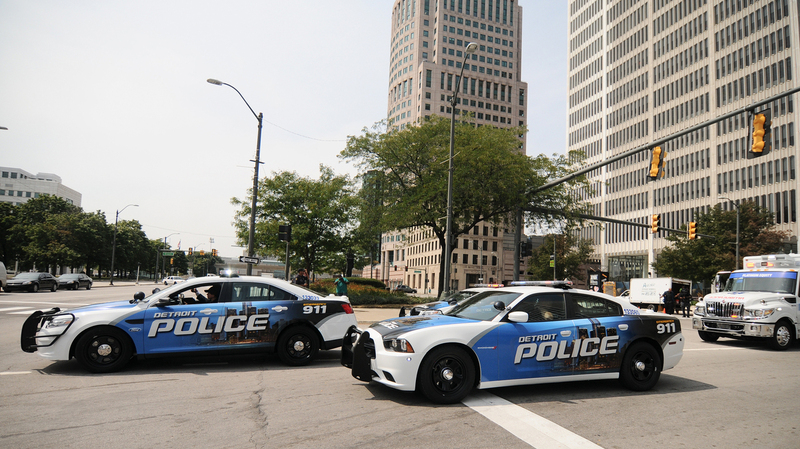 Several years ago, the murder clearance rate in Detroit neared the single digits. To improve, the police have reorganized into local squads and are looking for older cases that might be solved with new techniques. 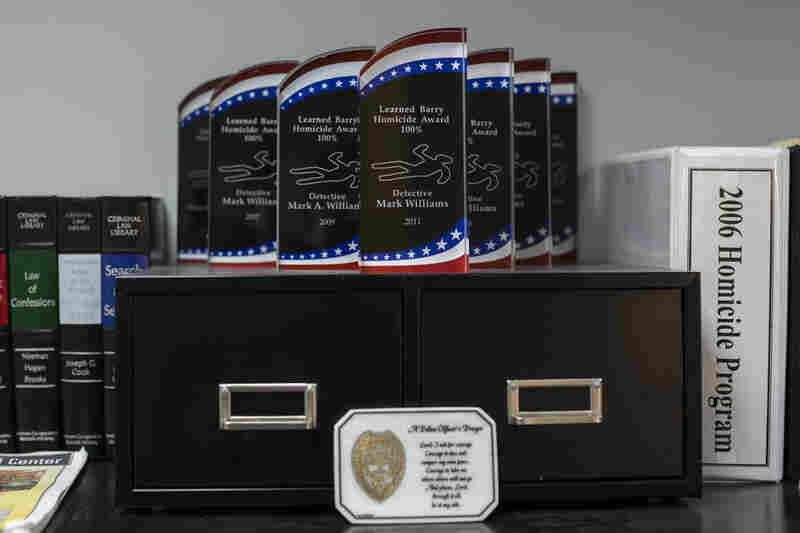 Williams' numerous awards for clearing his homicide cases. Richmond, Va., was one of the stars of a 2013 federal report identifying police departments with the best practices. Williams at his desk in the Richmond, Va., police department. 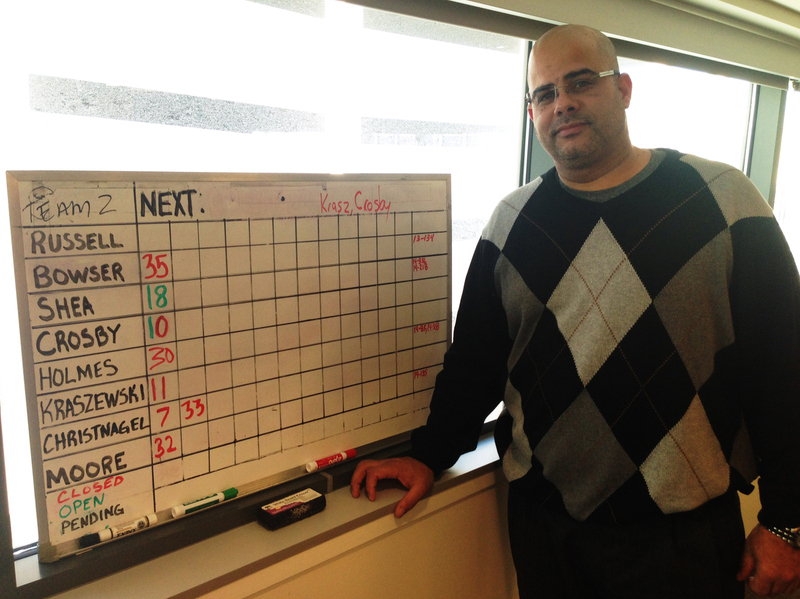 Today, the city's homicide clearance rate routinely hits percentages in the 80s and 90s. Detroit police officer James Kraszewski stands next to the whiteboard the squad uses to track its cases' clearance status.